Sweetwater Kid's Fly Fishing Thing! Join Sweetwater Fly Shop at Sage Lodge in Paradise Valley, Saturday, September 15 for a free kid's fishing event! 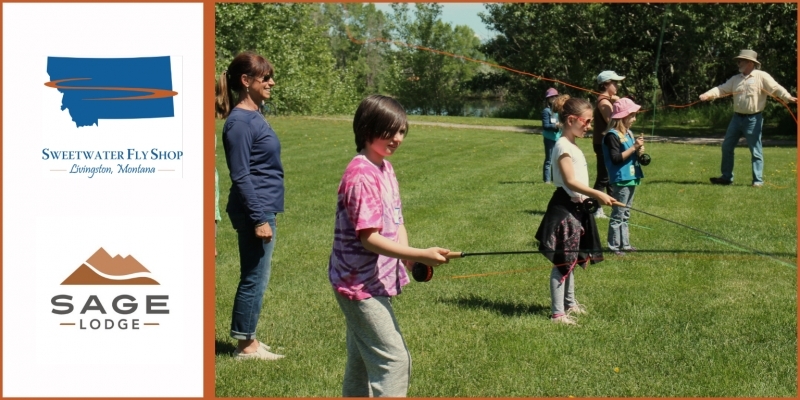 While you enjoy all that the new Sage Lodge has to offer, our staff and volunteers will spend a few hours with the kiddos teaching them about fly fishing. Boys and girls will learn casting, bugs, fly tying, conservation, and spend some time fishing in the lodge pond. This coincides with Sage Lodge's Grand Opening which runs from noon - 4:00 pm where attendees can explore the lodge, take a hike, enjoy discounted food and beverages, or just relax in the expansive lobby overlooking Emigrant Peak. * The kid's event is FREE and limited to 20 attendees. * Kids must be registered to attend. * Please, no kids under 7-years-old.